Sunday Service Ringing: 8.45 – 9.25 am for the 9.30 am Service. Practice Night: each Wednesday from 7.30 – 9 pm. St David’s has a thriving band of ringers thanks to the fact that in 1990 we were adopted by the Exeter Colleges’ Guild of Ringers as their home tower. In addition to current university students we have a growing band of alumni and ‘locals’. 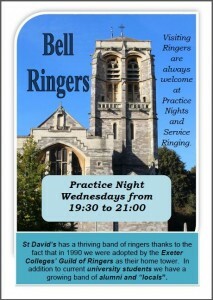 Visiting ringers are always welcome at Practice Nights and Service ringing. 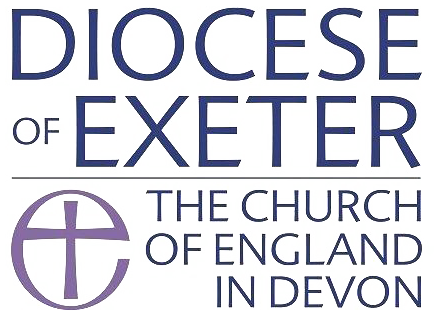 Should you require any information regarding the Bell Ringers here at St David’s, please email Geoff Crockett at bells@stdavidschurchexeter.org.uk.